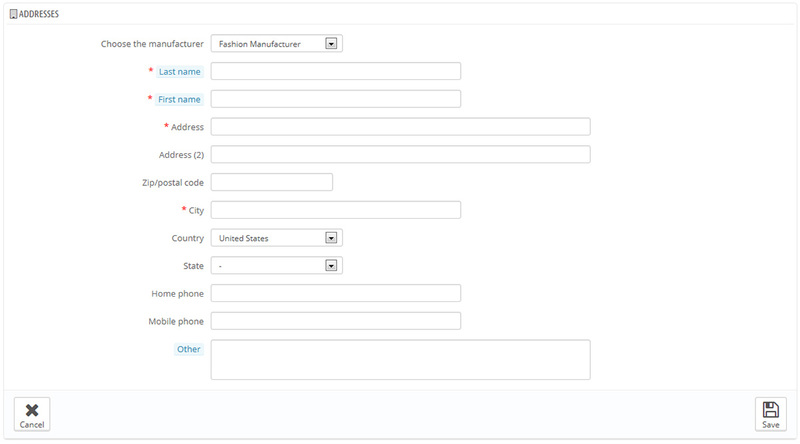 Unless you make your products yourself, you should always register your products’ brands in your catalog. Brands used to be called manufacturers in previous versions of your catalog. The behavior of a brand is exactly the same as the one of a manufacturer in your catalog: only the denomination has changed. Mostly to make it easier for customers to navigate through your catalog, as it is more common to be looking for a specific brand, rather than a specific manufacturer. If you still wish to use “brand” instead of “brand”, then you should customize your front-office translations. If you sell your own products, you must at least create your company as a brand: this helps your customer find what they are looking for, and this can bring some valuable search engine points. On the front-end of your store, brands are sorted alphabetically. You cannot change that order.New brands are automatically disabled. You must enable them in order to have them appear online – even if they do not contain any product yet. By entering information about the brands, your site’s visitors can have rapid access to all of a given brand’s products. This makes navigating around your site easier for them. In terms of visibility, filling out these fields will improve your position in search engines. Click on the “Add new brand” button, and a creation form appears. At the bottom of the “Brands” page is an “Addresses” section. Each brand can have its own address registered with your catalog. This serves mainly as a reminder for yourself: this way, you’ll always have the contact address for a brand available directly within your catalog. 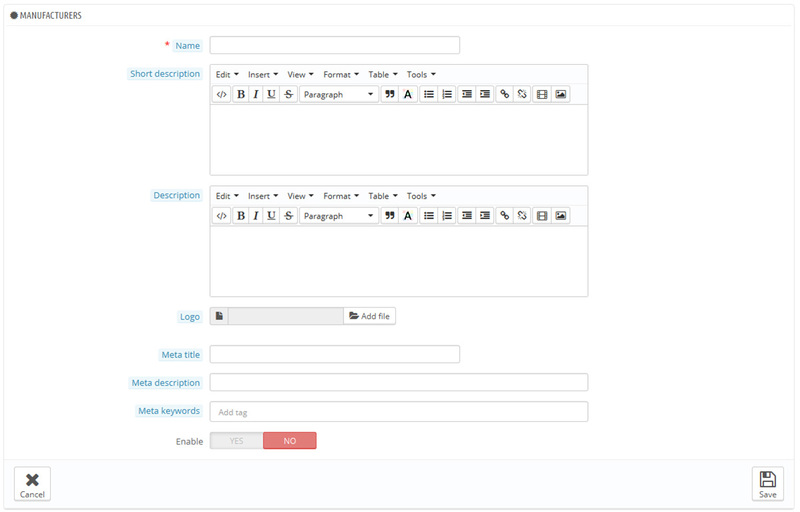 Click on the “Add new brand address” button to open the creation form. Make sure to choose the correct brand, and to fill as many fields as possible.